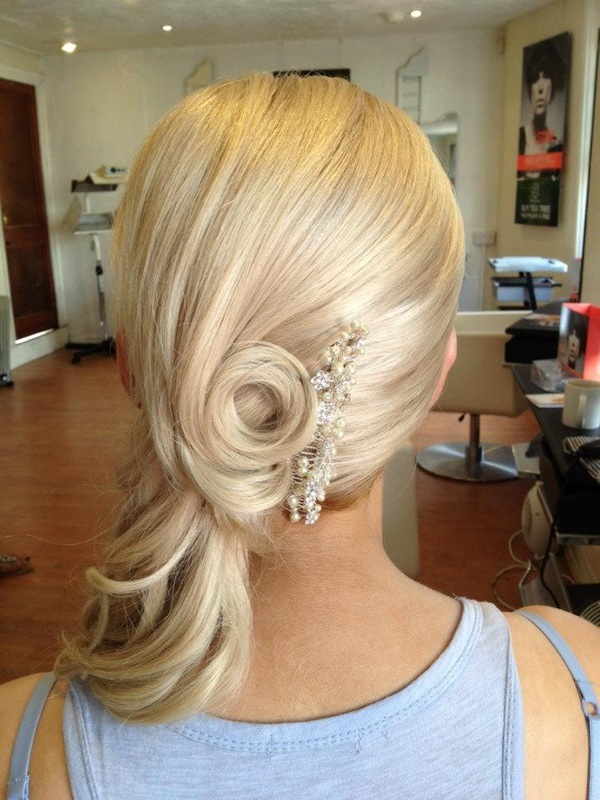 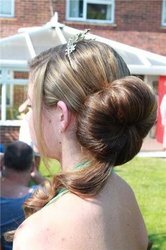 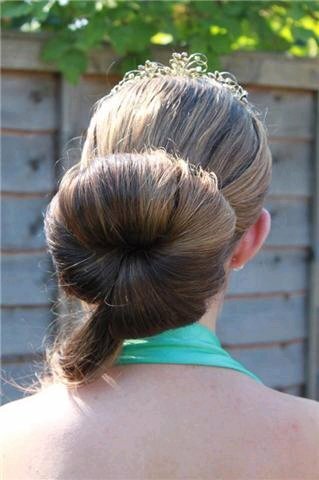 Our talented hair up artistes will have lots of ideas , and will listen to your ideas and adapt them to create the finishing touch to your dress and overall glamorous look. 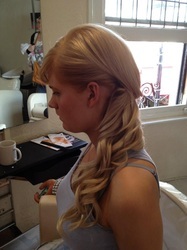 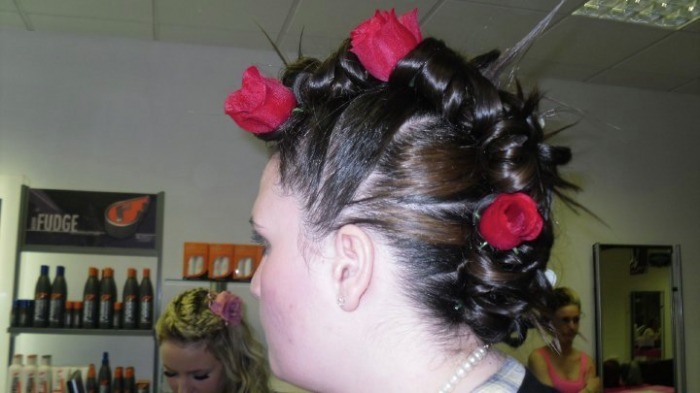 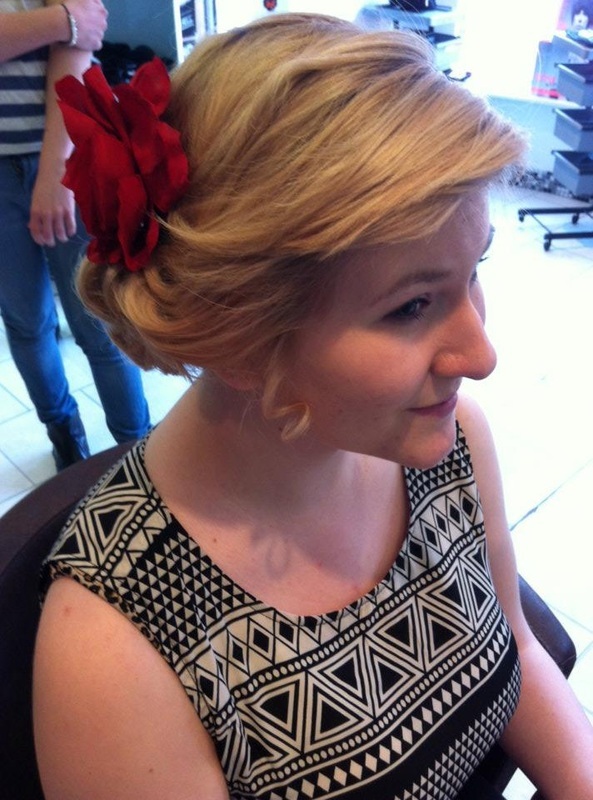 With our Prom Package you will recieve aFREE Full Consultation prior to the day, Hair up on the day and a Complimenatry Shampoo & Style upto one week after your Prom so you can let us know how it went and show off all your photo's of the evening. 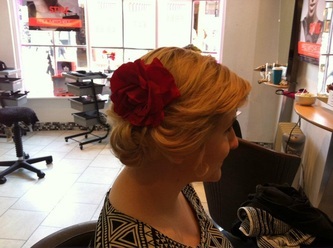 Simple but elegant 'flower' effect. 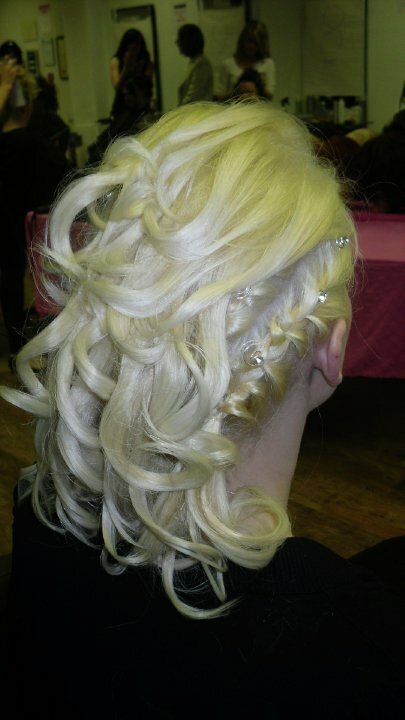 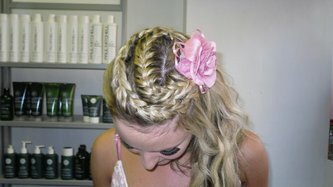 No sponges or fillers were used as created with models own hair. 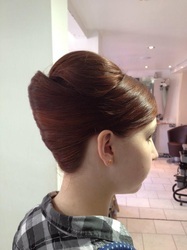 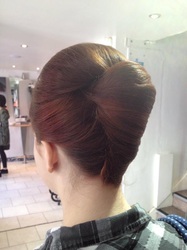 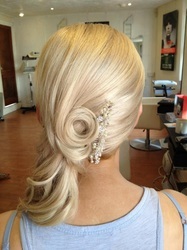 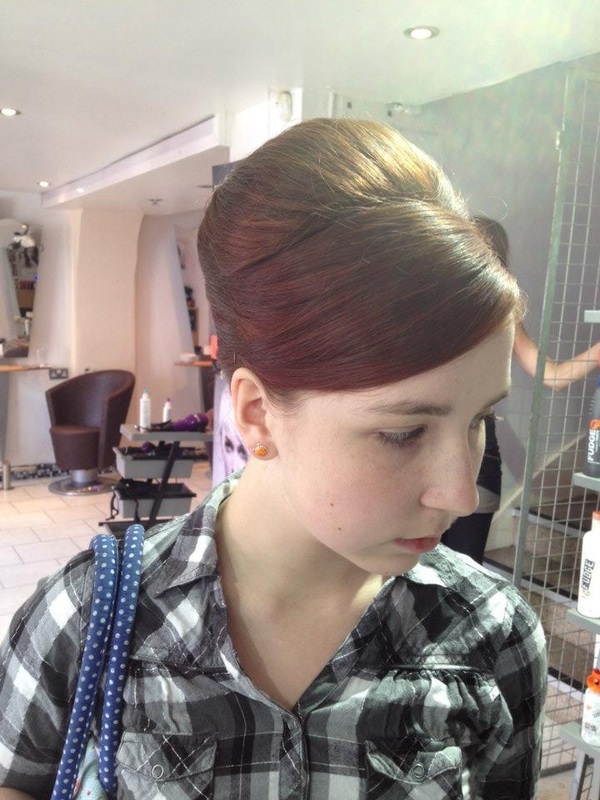 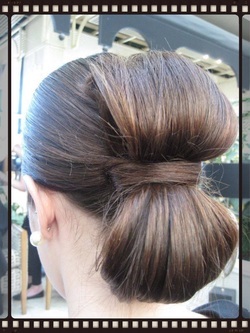 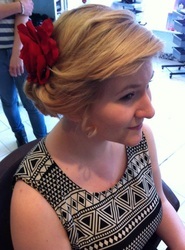 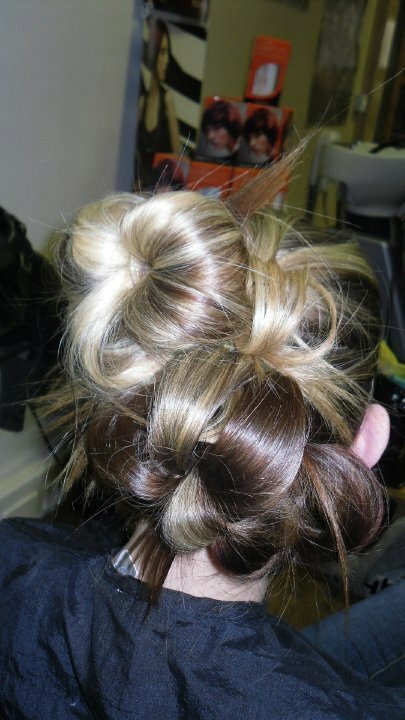 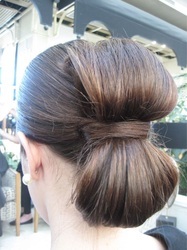 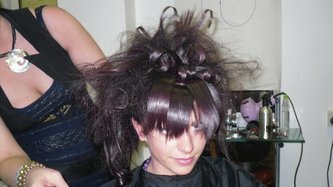 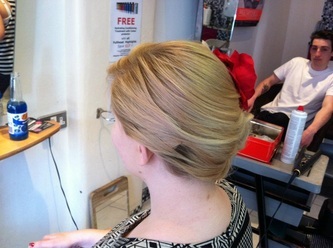 Hair was designed by our Hair Up specialist Penny Gold.